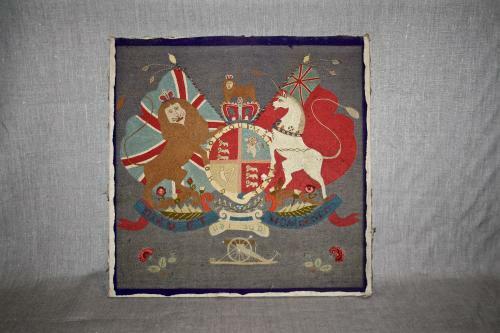 British royal coat of arms crest embroidery - early 1900's - wooden frame. Lion and unicorn - Dieu et Mon Droit. Minor damage as can be seen in the third picture but otherwise in good condition for its age.